Big, showy pink blooms mark this aptly named variety of Rose Mallow. Loveliness is a favorite among gardeners for its extra large, brightly colored blooms that are attractive to those beautiful birds and butterflies we all love! 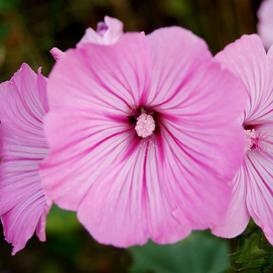 Plant Rose Mallow for a summer full of color, both on the bush and in the air!